Regal Jewelers has built an outstanding reputation steeped in quality, value, and personalized service. Regal Jewelers owns and operates our own in-house jewelry repair and custom design shop which allows us to offer our clients a variety of skilled services, each with great value, and quick turnaround. We feel it is important to meet clients' needs through meticulous repair – it is part of the circle of services provided by Regal Jewelers to generations of our most valued customers. 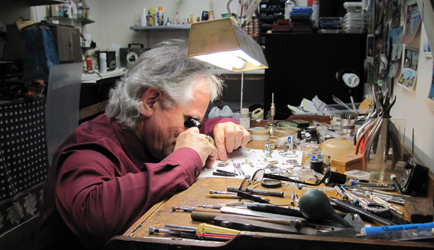 Our watch repair is done in-house, we are one of the best of Houston's few in-house watch repair services, led by Frank Lendvai, owner of Regal Jewelers. Get your fine your fine European time piece repaired and serviced by a expert European watch maker. Additionally, we also offer antique pocket watch restoration. Give us a call at (281) 893-7999 to get a quote.